Meet the lovable and affectionate, RAY RAY! Being blind doesn’t hinder this inspirational little guy from anything. He loves exploring the world one wall bump at a time and is continuously figuring out his surroundings. Can’t stop, won’t stop is this fellas way of life. 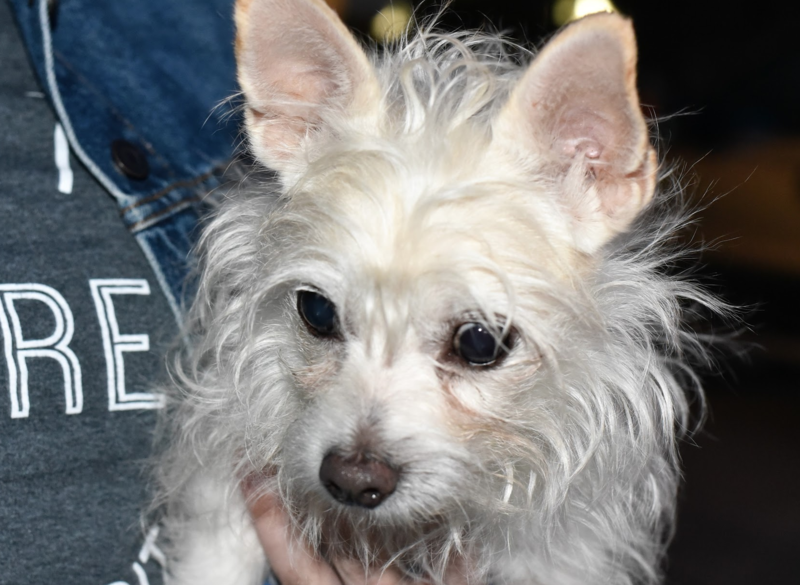 This fearless little man is a major cuddle monster whether it be with his foster mom or foster brothers; he gets along great with other dogs and is a social butterfly when it comes to people. Ray Ray will go for walks and then sleep most of the day. He’s super well-adjusted and trained to be in his crate. He’s housebroken and will only need some basic commands training. If you are looking for a fur-iend to inspire you and keep you on your toes, this is your guy. He’ll teach you to never give up and despite any obstacle that’s thrown your way, you got this!